There is just this strange attraction that the colour yellow has on this nation. From the royal colour to a 'reviled' protest, we seem to be attracted to all things yellow. And yellow Adeniums are of course, very popular. 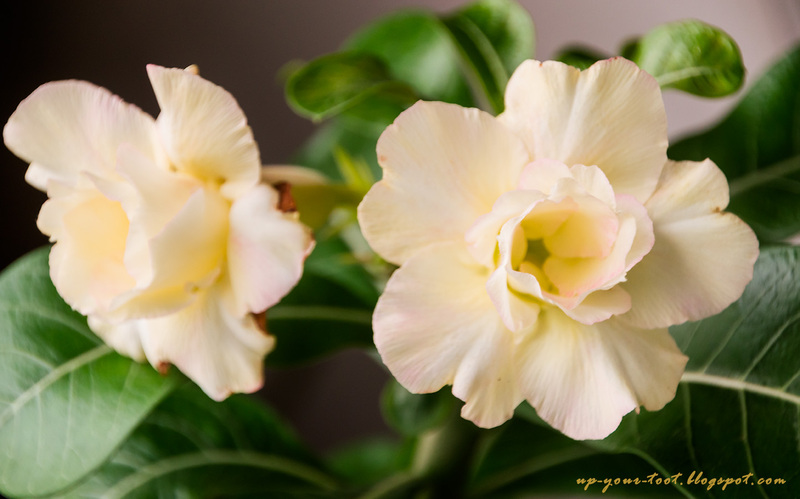 Adenium Thong Yod (or Thong Yot) - golden drop. The yellow is strong, but takes on a greenish-chrome yellow tone. Well, still better than pale off-white yellows. Despite the attractiveness of yellow adeniums, they all tend to have a major flaw, at least in our climate. The yellows tend to fade to cream or white, or never develops the intensity that is advertised when grown in say Taiwan or Thailand. 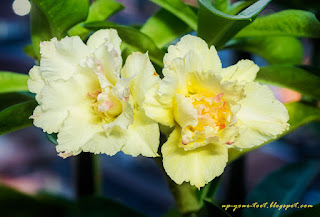 However, the plus side of yellow blooms are that most of them are weakly fragrant or more so in some selected hybrids. 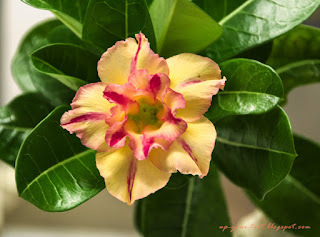 Adenium Yellow Premsup - a pale yellow aging to pink blush yellow. Adenium Princess Fragrance - the scent is rather strong, especially as the flowers age. I believe that this is due to pigments or pigment development that is temperature sensitive or controlled by temperature sensitive gene transcriptions. 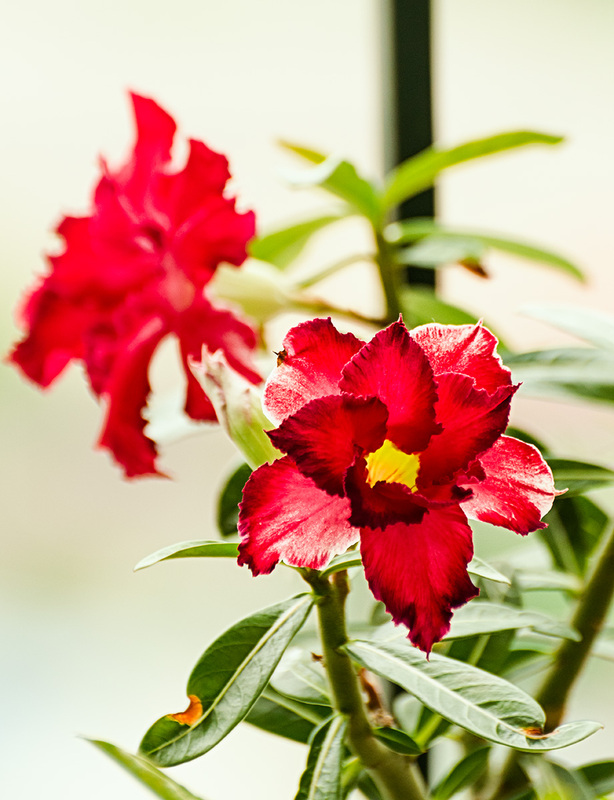 Some bicoloured reds are too, ranging from truly two-toned to just pure red depending on the temps that were prevalent when the buds were developing. The two-tone petals of Adenium Vietnam Love appears to be temperature sensitive. Too warm and they turn all red. Perhaps breeding of yellows could be done in Malaysia, and a strong persistent yellow form be found for our climate that doesn't fade away. Some colours surely turn out different in a not so close climate from their native due to those temperature sensitive genes supposed.